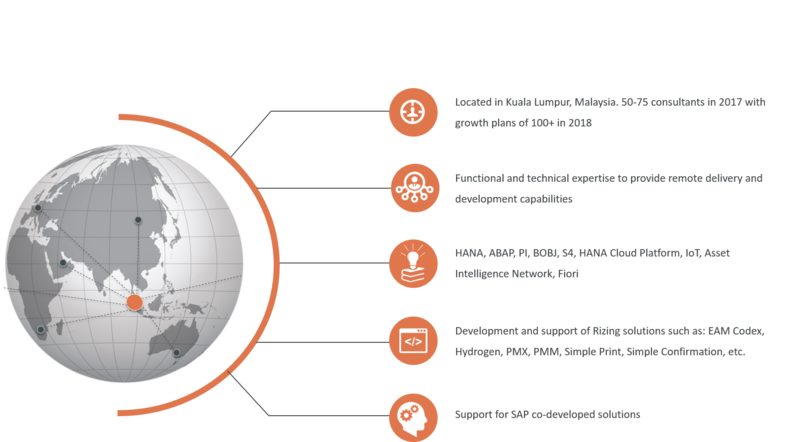 The Rizing Digital Development Center (DDC) is a technical development hub located in Kuala Lumpur, Malaysia that provides remote delivery and development capabilities to support Rizing projects and solutions globally. The DDC develops and nurtures new capabilities and brings innovative solutions to market in a timely fashion amid rapid change in technology and the SAP landscape. The DDC focuses on developing and delivering innovative solutions as they relate to S4, Cloud Platform, IoT, Asset Intelligence Network, etc., that will address market needs and create sustainable value for clients.